A team of University of Maryland students will compete this weekend against 24 international teams in the SpaceX Hyperloop Pod Competition in Hawthorne, California. This weekend's competition is the second held by SpaceX to advance the “hyperloop” concept for a long-distance, high-speed transportation system that would send pods full of people or cargo through a near-vacuum tube at speeds up to 700 mph. This weekend’s contest focuses on a single criterion: maximum speed. It will be the second for the team, named UMD Loop, which competed in January 2017, winning the performance in operations award and placing fifth for overall pod design. Elon Musk, SpaceX and Tesla CEO and the originator of the hyperloop concept, announced recently that his latest startup, the Boring Company, received verbal government approval to build a hyperloop that would enable travelers to make the trip from New York City to Washington, D.C., in 29 minutes. 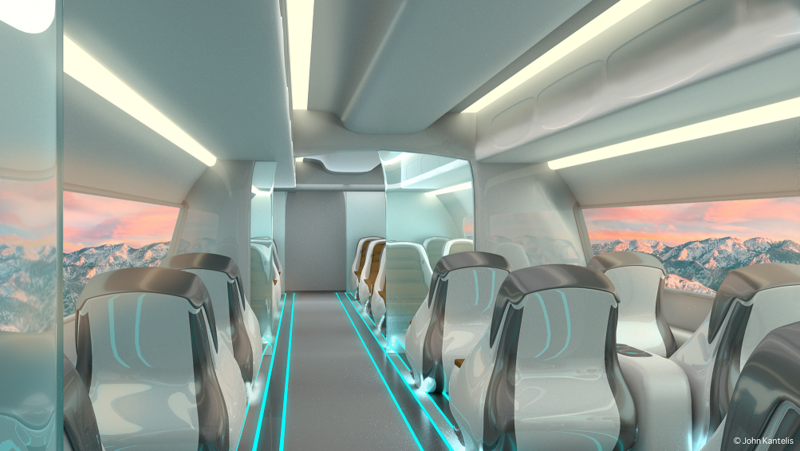 A hyperloop transportation system would enable faster travel between metropolitan areas, while also addressing many of the pitfalls of existing transportation methods. Unaffected by snow, rain and heavy winds, it would prevail in conditions that typically halt trains and airplanes. In addition, the hyperloop could operate entirely on renewable energy, which would significantly reduce carbon dioxide emissions. To accelerate the development of functional prototypes and encourage innovation, the SpaceX competition challenges teams to design and build the fastest pod. The pod prototypes are scaled-down versions designed to operate on SpaceX’s one-mile test track. The UMD Loop team includes nearly 40 physics, engineering, computer science, graphic design, communications and business majors. As part of the competition, each team’s pod will undergo rigorous safety inspections and testing that evaluate all aspects of the pod's design—from its structural and functional features to its mechanical and navigational features. In addition, teams will perform open-air tests, where they will operate their pods on the test track without vacuum pressure.